This organization focusses specifically on Sandy Lake and Environs, working closely with the Sackville Rivers Association. “In 2001-2002, students in the Dalhousie Masters of Urban and Rural Planning program and in the NSCAD undergraduate environmental planning program worked together on a project for the Sandy Lake Area Residents Association in the Bedford area of the Halifax Regional Municipality. (Students in civil engineering also participated in water quality testing.) The project involved several components: environmental analysis, community analysis, and policy writing. In the fall Environmental Planning students studied the watershed of Sandy Lake and prepared detailed reports. In winter, Rural Community Studio students conducted a survey of residents, analysed trends in the urban-rural fringe, and prepared as series of reports for the community group. *These two docs focus on Sandy Lake and Environs alone. The other two docs situate SLE within the broader municipal framework. AECOM, 2014. 131 pages. History, maps etc. 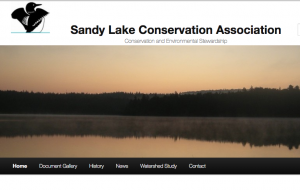 View also the Response of Sandy Lake Conservation Association (SLCA) to this report. Canada Mortgage and Housing Corporation Nova Scotia Department of Housing, 1986. This 159 page document contains a lot of information about the Jack Lake lands. Unfortunately, it is not available online. I accessed a copy of it held by the Sackville Rivers Association. Part 2 on the Big Sandy Lake Sub-watershed is available separately/ “This report – Sackville River Watershed Wetland Inventory Pt. 2 (SRWWI2) – is an appendix to the original inventory and assesses eight sites in the Big Sandy Lake Sub-watershed (BSLS) for future wetland compensation potential. The SRA completed the work for the SRWWI2 during the months of April-August 2010. This report does not complete wetland compensation field work in the BSLS as 18 (70%) identified sites remain to be field inventoried. CBCL Ltd for Halifax, March 2017. The link is to Item No. 14.1.3 Halifax Regional Council, August 14, 2018 with the CBCL document attached. (Re:Case 21402: Sackville Rivers Floodplain and Case 20361: Municipal Planning Strategy Amendment Request for 1488 and 1496 Bedford Highway, Bedford). “Responding to requests by the Sackville Business Association, HRM decided to complete an updated floodplain study of the Sackville River and the Little Sackville River to update the previous flood line delineations based on the new information. The first phase of the floodplain study was carried out by GHD in 2016, and was intended to collect and analyse background information for the second phase of the study, including survey data and information on historical floods. 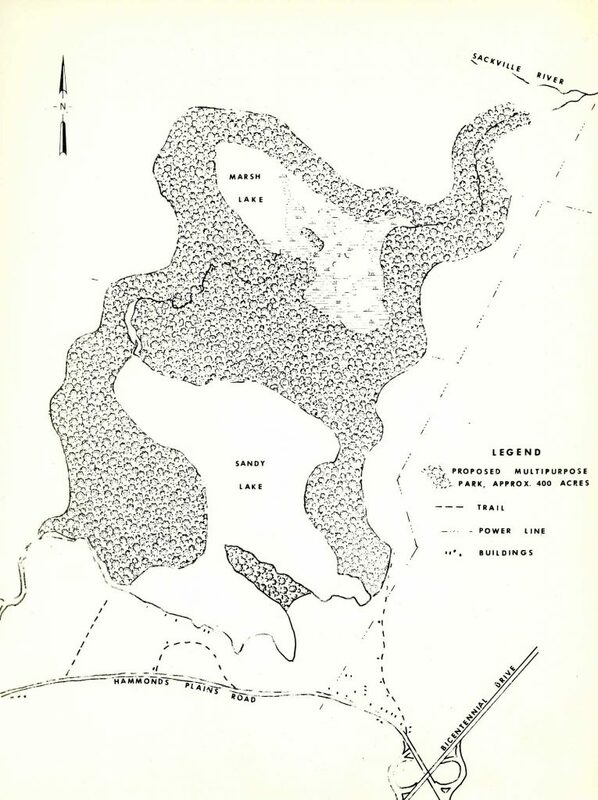 1.2 Purpose of Study: This report presents Phase II of the Sackville Rivers Floodplain Study for the Sackville River and the Little Sackville River, which includes a comprehensive hydrologic and hydraulic modelling analysis and floodplain delineations along the two rivers for various flood scenarios. This updated floodplain study CBCL Limited Sackville Rivers Floodplain Study – Phase II 2 therefore presents detailed flood maps along the river that are associated with existing and future conditions for land use, development, climate change (in precipitation and sea level rise) and ice jamming. The resulting flood lines delineated as part of this study provide HRM with updated information on flood risks within the Sackville River and Little Sackville River watersheds that will support the planning of future development and flood mitigation efforts. During his address, on behalf of the Sandy Lake Area Residents Association, Professor Grantor noted that the major concern of the Residents of the Sandy Lake area has been with the quality of the water of Sandy Lake. Noting that the lake is now showing all the signs of a “dying lake”, he urged Council toinitiate action which will protect the quality of the lake now that it appears the Regional Park concept has been abandoned.